Mac Connection offers the refurbished HP Pavilion 14-b015dx Sleekbook Intel Ivy Bridge Core i3 Dual 1.8GHz 14" Laptop, model: C2K06UAR#ABA, for $299.95 with free shipping. Features/Specifications: an Intel Core i3-3217U 1.8GHz Ivy Bridge dual-core processor, 14" 1366x768 LED-backlit LCD, 4GB RAM, 500GB hard drive, 802.11n wireless, USB 3.0, webcam, 4-cell battery, and Windows 8. Note that no optical drive is included. No warranty information is provided. MacConnection offers the 3.6-lb. Apple MacBook Pro Intel Ivy Bridge Core i5 2.5GHz 13" LED-Backlit Retina Display Laptop, model: MD212LL/A, for $1,299 with free shipping. Features/Specifications: an Intel Core i5-3210M 2.5GHz Ivy Bridge dual-core processor, 13.3" 2560x1600 LED-backlit IPS Retina Display, 8GB RAM, 128GB SSD, Bluetooth 4.0, FaceTime HD camera, ThunderBolt and USB 3.0 connectivity, HDMI output, and Mac OS X 10.8 Mountain Lion. MacConnection offers the 3.6-lb. Apple MacBook Pro Intel Ivy Bridge Core i5 2.5GHz 13.3" LED-Backlit Laptop with Retina Display, model: MD212LL/A, for $1,499 with free shipping. MacConnection offers the 2.4-lb. 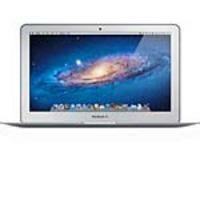 Apple MacBook Air Intel Core i5 1.6GHz 11.6" LED-Backlit Laptop, model: MC968LL/A, for $699.99 with free shipping. Features/Specifications: an Intel Core i5-2467M 1.6GHz Sandy Bridge dual-core processor, 11.6" 1366x768 LED-backlit LCD, 2GB RAM, 64GB SSD, AirPort Extreme (802.11n wireless), Bluetooth 4.0, Facetime camera, Thunderbolt port, and Mac OS X 10.7 Lion.no optical drive is included. 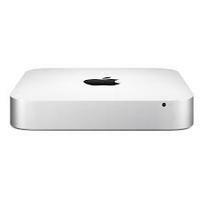 Mac Connection offers Apple Mac Mini Core i5 2.5GHz 3MB 4GB(2x2GB) 500GB Intel HD Graphics 4000 for $549 with free shipping. Features： an Intel Core i5-2467M 1.6GHz Sandy Bridge dual-core processor, 11.6" 1366x768 LED-backlit LCD, 2GB RAM, 64GB SSD, AirPort Extreme (802.11n wireless), Bluetooth 4.0, Facetime camera, Thunderbolt port and Mac OS X 10.7 Lion. MacConnection offers the 2.4-lb. Apple MacBook Air Intel Core i5 1.6GHz 11.6" LED-Backlit Widescreen Notebook, model: MC968LL/A, for $749 with free shipping. This MacBook Air includes an Intel Core i5-560UM 1.6GHz Sandy Bridge dual-core processor, 11.6" 1366x768 LED-backlit display, 2GB RAM, 64GB SSD, AirPort Extreme (802.11n wireless), Bluetooth 4.0, Facetime camera, Thunderbolt port, and Mac OS X 10.7 Lion. no optical drive is included. MacConnection offers the refurbished Dell Streak 7" 16GB WiFi Google Android Tablet for $114 with free shipping. Features the NVIDIA Tegra T20 1GHz dual-core processor, 7" 800x480 multi-touch display, 16GB internal storage, Bluetooth 2.1 + EDR, 802.11n wireless, 5-megapixel back-facing camera with autofocus, 1.3-megapixel front-facing camera with fixed focus, SD card slot, Android 2.2 (Froyo) OS, and more. MacConnection offers the 1st-generation Apple iPad 64GB WiFi + 3G Tablet, model: MC497LL/A, for $349.99 with free shipping. This deal is posted on Jun 4, 2012. It may expire soon. Today only (Jun 4) (Jun 4), Mac Connection offers the Apple Mac mini Intel Core i5 2.5GHz Desktop, model: MC816LL/A, for $744.99 with free shipping. MegaMacs offers the refurbished Apple iMac Core 2 Duo 3.06GHz 21.5" Desktop, model: MB950LL/A, for $949.99 plus around $40 for shipping. Deal expires June 6.A 30-day MegaMacs warranty applies. Dell Home offers its 5.9-lb. Dell Inspiron 15 N5040 Intel Core i3 2.66GHz 15.6" LED-Backlit Widescreen Notebook in Obsidian Black for $399.99. HP Home offers HP Pavilion dv6tqe Quad Core Laptop for $954.74 when you use coupon NBG5247 at checkout. Shipping is free. MacConnection continues to cut $50 off select Apple systems via mail-in rebate during its Spring Mac Sale with free shipping. MacConnection offers the Apple 2TB Time Capsule, model: MD032LL/A, for $274.99 with free shipping ($0.14/GB). Time Capsule is an 802.11n Wi-Fi base station with a built-in hard drive. MacConnection cuts $50 off on Apple systems via mail-in rebate. Today only (Feb 1), MacConnection offers the current-generation Apple 27" Thunderbolt LED Cinema Display HD Widescreen LCD Monitor, model: MC914LL/A, for $899.99 with free shipping. Features/Specifications: a native resolution of 2560x1440, 1,000:1 contrast ratio, 12ms grey-to-grey response time, 375 cd/m² brightness, built-in iSight camera, 3-port USB 2.0 hub, Thunderbolt port, and Mini DisplayPort connectivity. Today only (Jan 27), MacConnection offers the 2.38-lb. 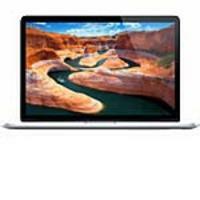 Apple MacBook Air Intel Core i5 1.6GHz 11.6" Widescreen Notebook for $899.94 with free shipping. During its Cyber Monday Sale, MacConnection offers the refurbished Acer S231HL 23" 1080p Widescreen LED-Backlit LCD Monitor in Black, model: ET.VS1HP.B01, for $99.99 with free shipping. Features/Specifications: a 1920x1080 resolution, 5ms response time, 250 cd/ma² brightness, tilt adjustments, and HDMI, DVI, and VGA video inputs.